Absolutely beautiful heavy linen fabric depicting a hunt scene. 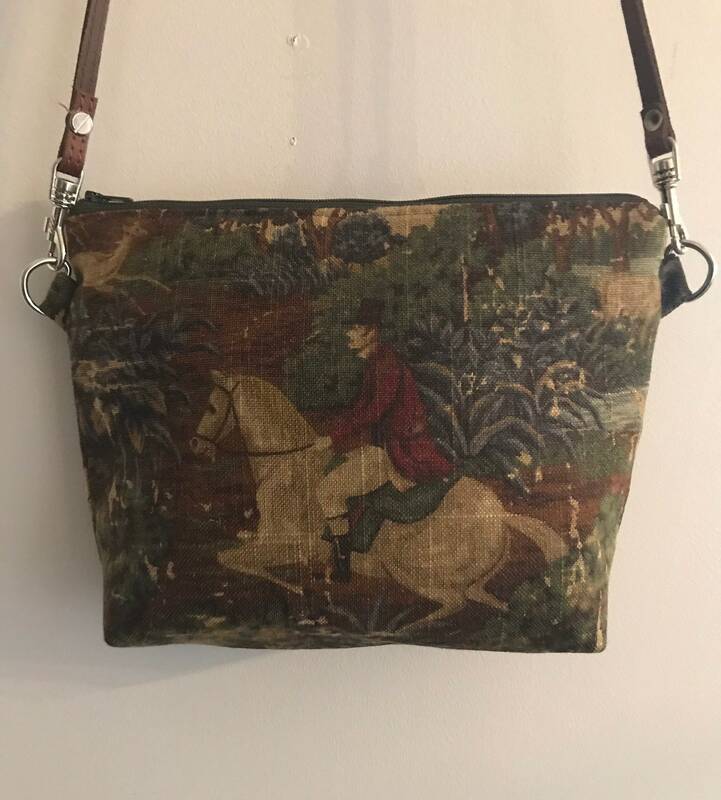 This is a horse purse for anyone who loves horses. The colors are rich blues, browns, greens and reds. 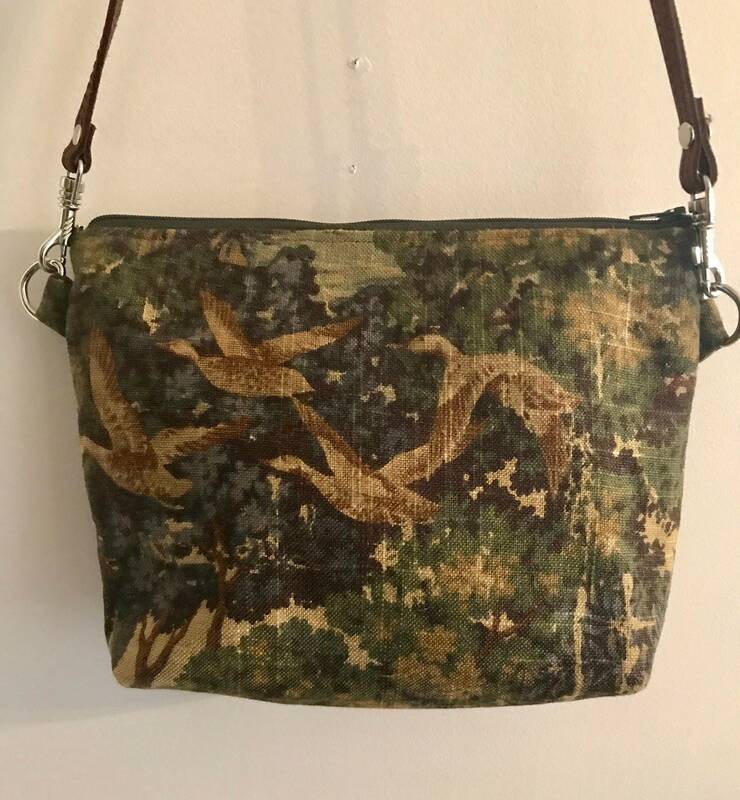 Pictures do not do this bag justice. The colors and textures are amazing. 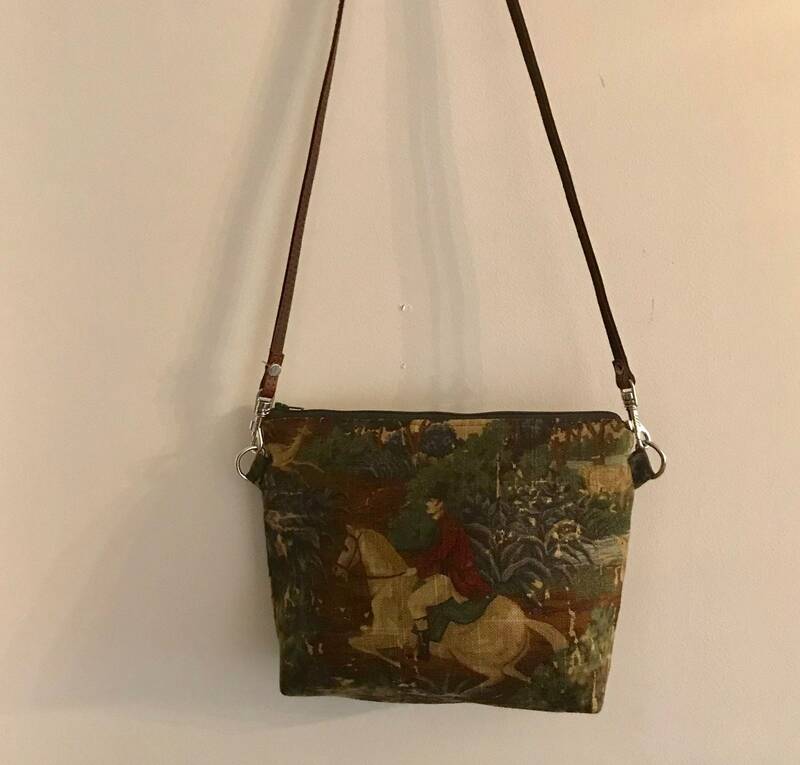 The handbag measures 12x6 and has a brown long leather strap. If you want to carry it as a clutch, remove the strap as it attaches to d-rings. 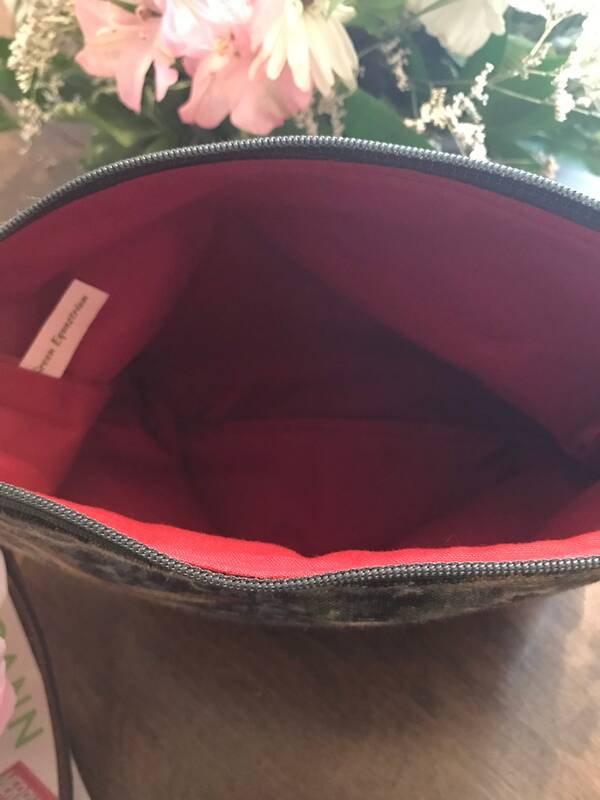 The purse is lined in organic cotton. Great holiday gift or maybe a gift for yourself! 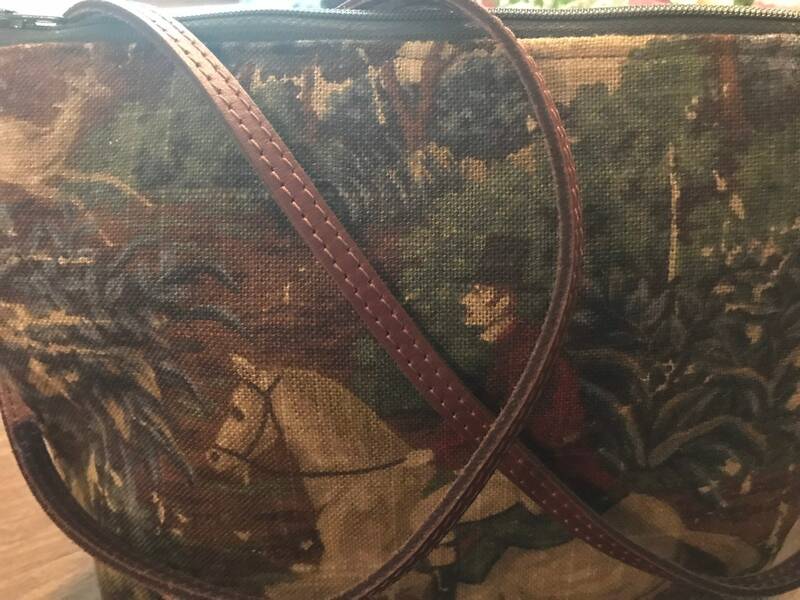 This horse handbag is a limited edition.